Pinterest has a new Guided Search feature, which the company first released on mobile two months ago. Now it is coming to the web. Pinterest’s users will see a brand new search bar when they visit the website. It works just as well on mobile too. The new feature will provide keyword recommendations that will help users to come up with better queries and better results in search. For instance, if you search for BBQ on the site, Pinterest might come up with other related keywords, such as recipes, wings and chicken. The keywords are filters and the idea is to help consumers find more of what they are searching for. Not familiar with Guided Search? There is a YouTube video just for you. Search is very important to Pinterest, which has more than 30 billion pins on at least 750 million boards. The site is large enough that most items that users want usually are pinned someplace. You just have to find them. 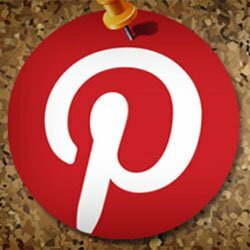 That also is why Pinterest now offers Rich Pins that provide more detailed descriptions to the images that are being shared on the platform. In the past, users were required to break up searches into two boxes – one for the name of the place and the other for its location. Users complained that it was not intuitive. Pinterest stated last week that it wanted to build a more natural search interface with just one field for text input. The new places search also is designed to be more intuitive, so users do not need to type a name of a place to locate it. For instance, if someone has a pin saves on Yankees Stadium in NYC, a person could search for ‘Yankees NYC” and Yankee Stadium would appear as the top result. This technology could help to increase the usefulness of Pinterest as a search engine. And it also could draw in more advertisers on the local level. The monetization of the site longer term could depend on these sorts of efforts to make content easier to access. Users need to be able to find what they seek if brands want people to buy their items. This new Guided Search increases this possibility. The new search tool will be online to people in the US this week, and international users will gain access in a few weeks. As we have seen, the long term viability of a social media site largely depends on its ability to monetize its user base, which Facebook has been able to do to stay as the top dog in social media. Google has improved its monetization in recent months too. We’ll see how well Pinterest does in the near term.